Some say 400K, others count 430K and - as a matter of fact - the official title was actually 'March of the Million' but the exact figures are obviously minor by now. 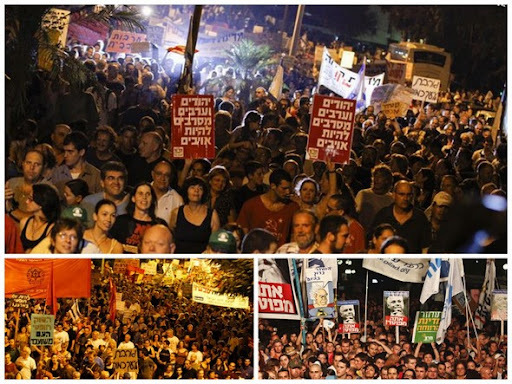 This way or another Israel saw its biggest ever cross-country demonstration yesterday night, demanding social justice and a lower cost of living. 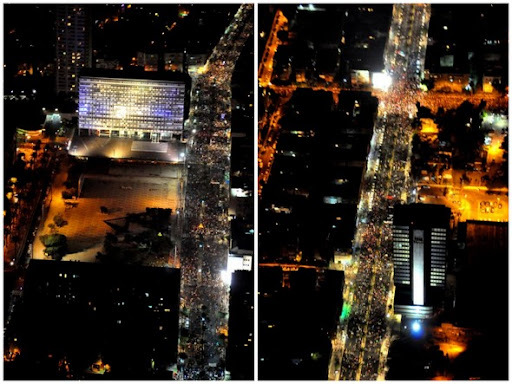 The largest demonstration took place in Tel Aviv, where approx. 300K took part. Additional 50,000 protested in Jerusalem, 40,000 marched in Haifa and many others in smaller protests in dozens of other towns and cities. The following are 14 of the most spectacular moments from yesterday's events. 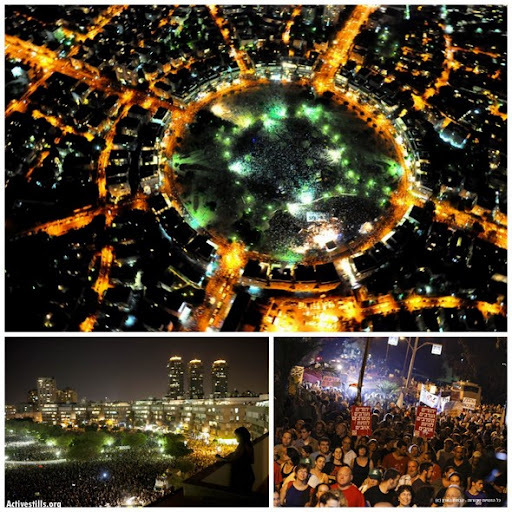 The following bird-eye views were taken above Kikar Hamedina square in Tel Aviv from a police helicopter. More in the official Facebook album of the Israeli police. 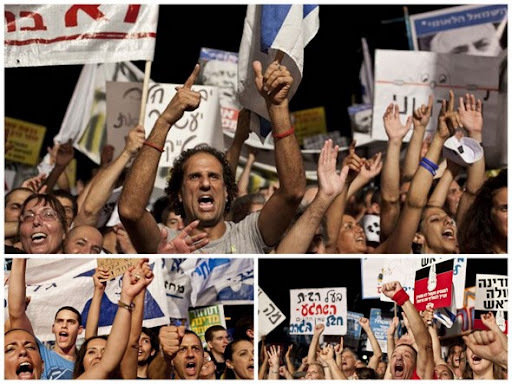 The following faceshots were all published on Haaretz newspaper's Facebook page. More in this Facebook album. 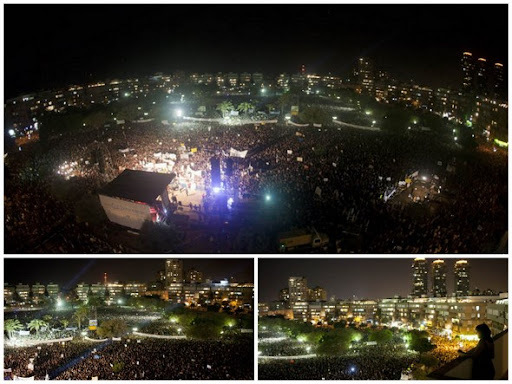 And here are 3 more of Kikar Hamedina, taken by Oren Ziv of ActiveStills. 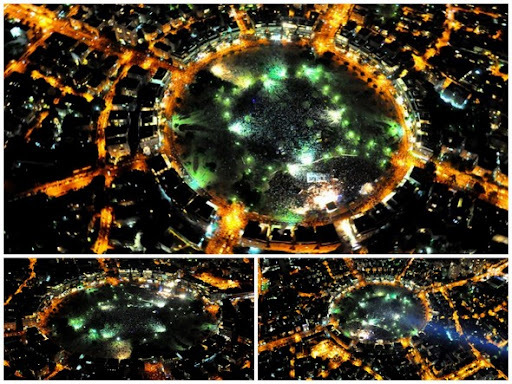 It doesn't matter how much people joined this event but the thing is that you have got some really great pictures. I am amazed about the first large picture. Looks amazing!